Headroom Show 2015 - show report and pictures | What Hi-Fi? 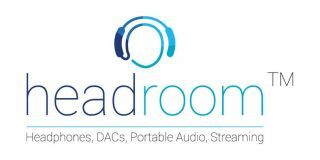 The first Headroom Show, organised by Unilet Sound and Vision and Custom Cable, took place at the Metropolis recording studios in London. We dropped in to take a look. Metropolis made an ideal location for the show, giving visitors a chance to see the famous studios where Queen, Michael Jackson, Lady GaGa, The Verve and U2 (among others) have recorded. Set over two floors, the show was intended to offer "the largest range of headphones and headphone amplifiers on display in the UK, alongside portable audio players, computer-connected DACs (digital-to-analogue converters) and portable streaming solutions". It didn't disappoint. New launches included the the Chord Hugo TT desktop DAC/headphone amp, which we first saw at CES in Las Vegas. It features improved connectivity and performance, a remote control, alphanumeric LED display and an asynchronous USB-B digital input. Price is £2995 in the UK. There's support for up to 32-bit/384kHz audio via coaxial and USB, and 24-bit/192kHz over optical, as well as DSD64 across all inputs and DSD128 via coaxial or USB. We also spotted the new Mass Fidelity Core, a wireless speaker system that uses "acoustic holography technology" to produce a stereo sound field it claims to be "astonishing in size and sound quality". To eliminate the traditional "sweet spot" that comes from typical stereo sound, the Core uses a rendering technique called Wave Field Synthesis to produce an acoustic image that can be enjoyed from any position in the room. It also comes equipped with Absolute Bass Technology – a combination of electronics, software and mechanical engineering – to produce bass performance "unmatched for its size", its maker claims. Should that not be sufficient, users can connect an external subwoofer through the dedicated subwoofer output. The unit has an acrylic top and chrome base to give it a smart finish, and can play music from internet streaming services, music stored in the cloud and online radio stations and podcasts. Advanced Audio Coding (AAC), aptX Bluetooth and 24-bit digital signal processing are also on board. Should you want to use a wired connection for your other devices such as an iPad, CD player, turntable or Apple TV, there are analogue and optical digital inputs. Up to nine cores can be used together to create a multiroom system, connected via their own proprietary multiroom network so you don't need wi-fi or a separate router. The Core has a rechargeable battery life of around 12 hours so can even be used out in the garden. The Mass Fidelity Core will also be on display at the forthcoming Bristol Sound and Vision Show and is expected to sell for £549 in the UK. Of course this being primarily a headphone show, it was no surprise to see plenty of in-ear, on-ear and over-ears designs from the likes of Atomic Floyd, B&O, B&W, KEF, Parrot and Sennheiser. But we were particularly intrigued to see the new Angie and Layla in-ears from Astell & Kern. Both sets of in-ear monitors are named after famous rock songs about women and have been created in conjunction with Jerry Harvey Audio, who also produced a special version of the Roxanne headphones for Astell & Kern in 2014. That collaboration led to this latest project, with the Angie and Layla in-ears being tuned specifically for Astell & Kern's range of high-resolution portable audio players such as the AK240. User can adjust the bass response from 0 to +13dB using the variable bass output on the cable. Additional features include new proprietary drivers, SoundriVe technology with a triple quad driver configuration (12 drivers) to offer the widest possible frequency range, and FreqPhase to correct the timing and phase of multiple drivers. Second in the A&K line-up is the £899 Angie model, also designed by Jerry Harvey Audio. It too has all-new drivers, SoundriVe and FreqPhase technology, and adjustable bass repsponse (0 to +10db). The earpieces have a red and black Kevlar shell with with a carbon fibre logo insert. We look forward to testing both versions soon. From headphones to headphone amplifiers, and Quad was showing off its PA1 valve headphone amp for £1200. Alongside it was Audiolab's new £399 M-CDT CD transport to match the existing M-DAC and Q-DAC. And just to finish off, we have to share this picture of the main mixing desk at Metropolis Studios. Who wouldn't want one of those!